David Brazier lives a mobile life – about ten countries so far this year, rarely more than three weeks in one place, but his anchor points are the Canary Islands, where his partner lives, France, where he has a small retreat, and the UK, his home country. He writes prose and poetry. 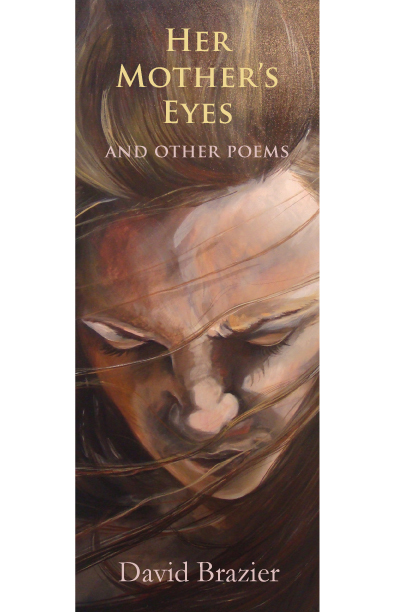 His latest – Her Mother's Eyes and Other Poems – comes out in November 2011 by QUG. 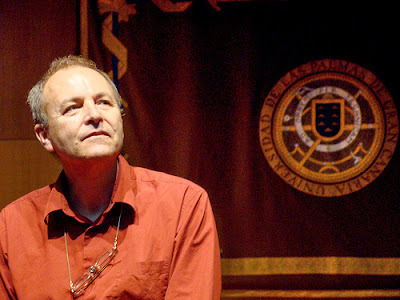 Most of Brazier’s writing is on spirituality, psychology and culture. Love and Its Disappointment is considered to be his most important essay on the meaning of life so far. Brazier’s books have been translated into around ten languages. IMBO: David, welcome to I Must Be Off! Reading about you has been fascinating. Ten countries this year. Wow. Why do you move around so much? 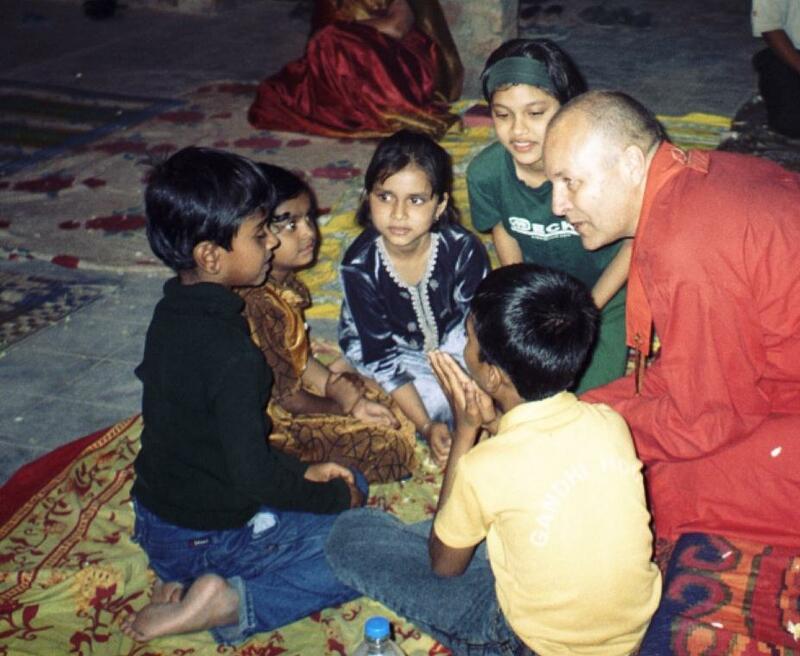 Brazier: The reason for my travelling is to teach Buddhism and Buddhist psychology, to promote inter-faith understanding, support cultural events and simply deepen my own encounter with the big existential questions. On the one hand, I am an internationalist, happy to put up my hammock, as it were, wherever. On the other hand, I'm definitely English and very much European. My mother gave me a love of England and of poetry and although one can sometimes transcend one's home culture, one never throws it off. I spent much of my childhood in Cyprus when it was a British colony and a very cosmopolitan place. My parents had friends who were Greek, Turkish, Armenian, Lebanese, Egyptian, and American as well as British. Coming back to spend my adolescence in UK was a shock. I felt hemmed in. I have always had itchy feet. IMBO: And the fingers? How did you get started writing? Brazier: When I left school I went to university, but dropped out. Dropping out was what one did in those days. I went back to do a masters degree when I was in my forties and went on to do a doctorate. While I was doing it my tutor asked me if I would take off his hands a book of conference papers that.he was editing That, in due course, turned into my first full length book, Beyond Carl Rogers: toward a psychotherapy for the 21st century. I'd already done a lot of shorter pieces of writing – articles, monographs, pamphlets and so on – on Buddhism and psychology mostly. The book sold better than the publisher expected and so I was asked to write more. Writing books has become an integral part of my personal evolution. I am a Buddhist priest, but I have the mentality of an artist. Nonetheless, I was useless at art at school and did not get a feel for writing either until much later. Interestingly, of my three children, my younger daughter is an artist (painting and sculpture) and my elder one works in the music industry. Brazier: I enjoy gardening, walking, photography, and working in the woods (of which there are quite a few hectare at our French place). I like reading history, geography, travel, philosophy, good fiction, and poetry as well as spiritual works from many faith traditions. I enjoy solitude but meet hundreds of people. I enjoy doing new things. Right now I'm visiting Hawaii to give teachings to Buddhist groups and earlier today I got an invitation to go ocean kayaking tomorrow morning early which is something I've never done before so I'm going . I am a very poor swimmer so if I don't survive I might not get to read this interview; however, there is some chance I might see a whale. I am a free spirit and am interested in a multitude of subjects. My friend Mary Midgley (philosopher, author of about fifteen books) has “freelance philosopher” on her visiting card and I can identify with that. I am a Buddhist priest and the leader of a religious community and so am publicly identified with that, but I am interested in all forms of the mystical traditions and in the engagement of faith with social action. I am also interested in political and economic theory and the current state of Europe's sovereign debt crisis intersecting with America's economic problems fascinates me. I started a Facebook thread on this latter topic and it has already attracted 96 comments and 14,000 words! IMBO: I have to say that I’m inspired by how engaged you are in the breadth of experience in the world around you. Has this always been true? Brazier: In Cyprus, as a child, during the independence struggle, I had an early exposure to war as well as to cultural diversity. Then, my parents moved frequently. My father was a civil engineer. I was acclimatised to moving every couple of years. This shaped my outlook. For the past 15 years or so I've spent part of every year in France and now I live part time in the Canary Islands. I'm gradually getting better at speaking Spanish and starting to love delving into Spanish culture, history and literature. I'm voracious for that sort of thing and my real limit is time to do it all. I do not feel exiled in any sense. It is much more a matter of encompassing more of what is out there. Seeing things through the eyes of another culture is liberating. It makes it possible to see what one has been taking for granted that may be questionable. It is also a mine if rich resources. Many great writers from Chaucer onward started off as translators and although I have only done a little formal translating, I have learnt a huge amount by seeing things through the perspective of other tongues and cultures. I am a regular visitor to India and also to Japan and Korea and these contrasts have openned my eyes to how limited a view one has if one never ventures outside Europe or North America. Yet, for me, writing is also an art form. I am interested in language and words as well as the subject matter. I started writing poetry as much in order to experiment with language as anything and then I had a friend who was a poet. It has often been meeting particular people that has made all the difference in my life. Then I went on a solitary retreat for nine days and poems started pouring out of me, several per day. It was amazing. This spring of creativity ran on for the next couple of years very gradually slowing down. Now I still write poetry, but not in quite such a binge. There is something about the essence of poetry that is close to our most profound sense of the meaning of life. It is seductive, elusive, fascinating. IMBO: OK, let’s say you’ve just boarded a transatlantic flight. As you make your way to your seat, adrenaline shoots through your chest. You’ve dreamt about this moment with this person for years. He/she is sitting in the seat next to yours. Who is it and, assuming you get the nerve up, what will you talk about—for nine hours? Brazier: Well, I do have this experience, or nearly, from time to time. When I was young I was terribly shy. Then my second wife (I've been married three times) took me in hand and taught me to be a social being, so now I strike up conversations with all sorts of people. Often there is not much in it, but I have sat on planes next to people who turned out to be writers like myself, or just very interesting personalities such that one gets talking and time disappears. We talk about books, publishing, languages, and writing, or about travel and the challenges of being a person who is in part a misfit everywhere yet also in part somebody who can adapt to just about anywhere, or we discuss spirituality and existential questions and alternate between the profound and the absurd; we have fun, exchange experience, and laugh. IMBO: Care to share your work with us? Brazier: My books are informative or philosophical or poetry. Either way they attempt to break new ground in people's thinking. My sense is that there are two widespread consensual positions holding sway today across the domain of popular spirituality and popular psychology in the West, and neither is adequate. On the one hand there is a range of spiritualities and psychologies that are essentially self-focussed – self-assertion, self-esteem, self-worth, self-concept – a swathe of ways to love oneself. On the other hand, there is an increasing vogue for the kind of quasi-scientific approach that recognises nothing that cannot be measured and tries to reduce human life to a mechanism. Neither of these approaches seems to me to liberate us. My focus has, therefore, been on the nature of love and upon the importance in our lives of creative forces over which we have limited control. This approach seems to me to do more justice to the experience of those who are truly artistic or creative; it gives sustenance to the human soul without centring everything upon the small mindedness involved in just getting personal needs met. The book that expresses this philosophy of mine most clearly so far is Love and Its Disappointment, but it is an on-going process. In each book I am taking a new angle and, often, a new “language”, not in the literal sense but in the sense that psychology, art, spirituality , poetics, and so on each have their own vocabularies and modes of discourse. I'm looking at and playing with different ways of regarding the meaning of it all and enjoying the paradoxes and limitations as well as the breakthroughs. I'm very excited about being about to become a published poet. 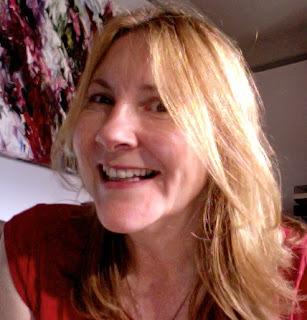 (Brazier's latest – Her Mother's Eyes and Other Poems – comes out in November 2011 by QUG). Also, I have an autobiography coming out next year, and another book (on prayer) written but waiting for some editing. IMBO: What about another expat author or artist? Brazier: I have a lot of respect for the work of Richard Crookes, a calligrapher, who lives in Thailand. His work is really impressive. He has done the cover designs for my new poetry book and for my autobiography that comes out next year. The painting on the front of my poetry book was done by my daughter E. Dickie who is a very talented ex-pat living in Auckland, New Zealand. Brazier: No, I never get homesick but I have experienced extremes of emotion when, after an interval of many years, I have revisited places where I lived as a child. I am working up the courage to go back to Cyprus one day. I have not been there during my adult life. The south has no doubt changed enormously with the tourist industry, but the north is probably pretty much how it was. My concept of home is more cultural than locational. If I am among people with whom I share some basic assumptions I feel at ease, but such people are not anchored to one place. David, I can't tell you how interesting you have made this interview. Thank you for sharing your life and your work with the readers of I Must Be Off! 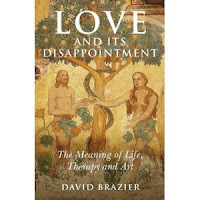 David Brazier, PhD, is an author, poet, traveller and spiritual teacher. He is also a psychotherapist and inventor of pandramatics, an improvisational theatre method. He has eight published books and numerous chapters in other works. He has founded social, mental health and educational projects in a number of countries. He is a Buddhist priest and head of a religious order. He is a social and cultural critic and was listed by Huffington Post earlier this year as one of the dozen Buddhist commentators most worth following on Twitter alongside the Dalai Lama and others. Christopher Allen is the author of the absurdist satire Conversations with S. Teri O'Type. 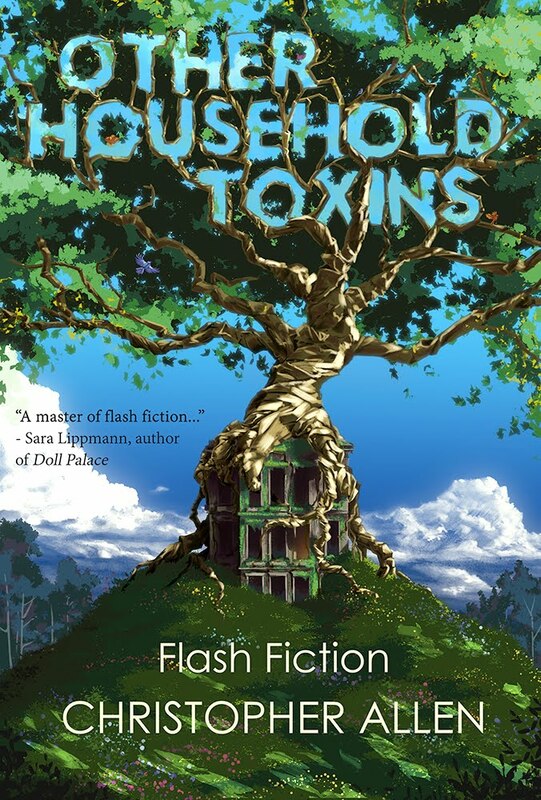 Allen writes fiction, creative non-fiction and of course this blog. His work has appeared in numerous places both online and in print. Read more about him HERE. What a lovely interview - you always find the most interesting and diverse people to share their experiences, Christopher! Are either of these books on Kindle? I'd love to read them. Excellent interview. Very inspirational writer. This is great! Thanks for posting, Christopher and David! It would be very nice trip to India. I really love Indian culture. Above presents these article news look for really wonderful. I know many useful news collection from here! I have like this site. Look for wonderful tours in india area being sharing information looks for really wonderful. It through many useful news collection from here!